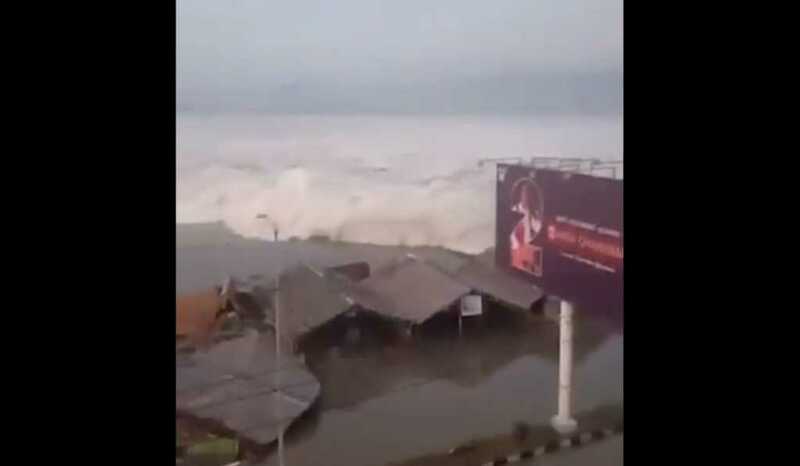 Heart-thumping footage has emerged of an enormous tsunami flooding the shores of Palu, a city located on the Indonesian island of Sulawesi. The U.S. Geological Survey detailed that the magnitude 7.5 quake erupted at a depth of 6 miles (10 kilometers) around 35 miles (56 kilometers) northeast of the town of Donggala, according to the Associated Press. In the video footage, a vast volume of seawater can be seen sweeping through the streets and buildings, as people scream and flee for their lives. In a separate video, a car can be seen attempting to drive down a flooded road, as large pieces of debris get swept down the road. According to the Irish Examiner, Sutopo Purwo Nugroho said in a live TV interview on Friday that families were missing following the quake, and that the water had swept away scores of houses. We will keep you updated with the latest as it comes in. Do pray for all those affected by this natural disaster.